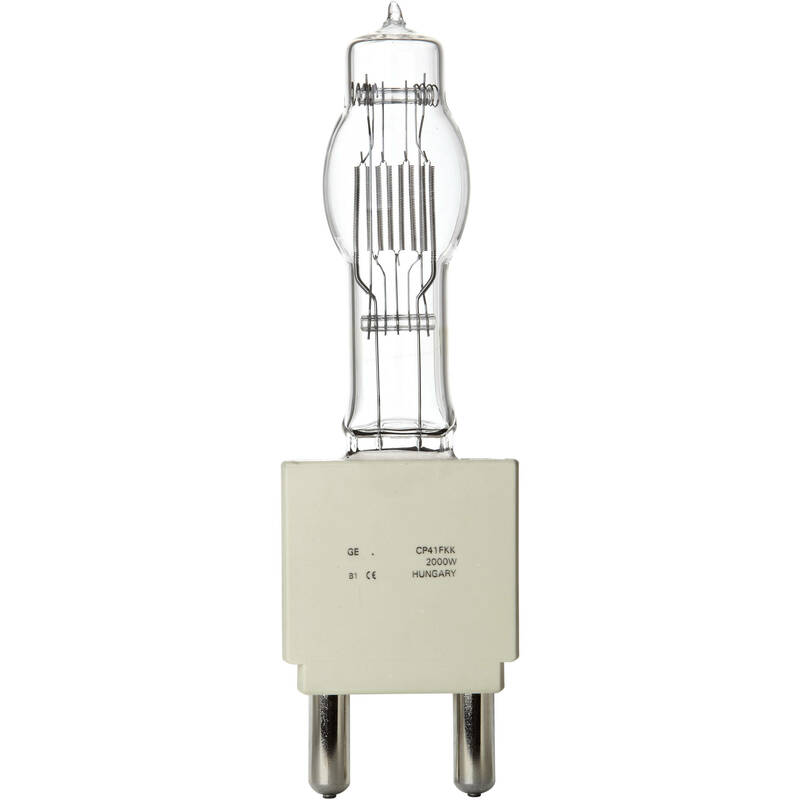 The single-sided halogen CP41 FKK Lamp from General Electric features a G38 base and is rated at 2000W and 230V. It offers a 54,000 lumen output along with a lifetime of 400 hours, a CRI of 100, and a 3200K color temperature. 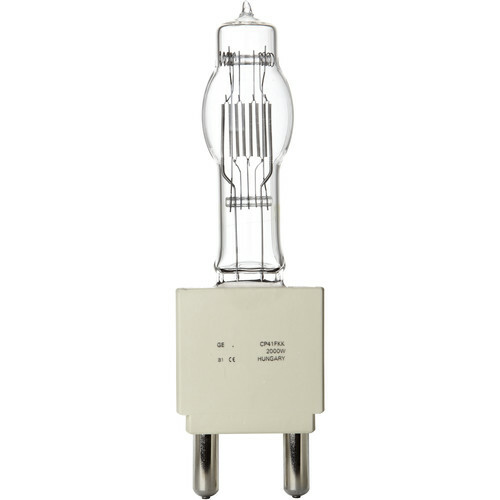 Additionally, this dimming-capable Quartzline lamp has chromised seal protection to 932°F. Box Dimensions (LxWxH) 13.2 x 5.6 x 5.3"